Wanted to make sure you saw supermodel JESSICA WHITE shine on the red carpet at this weeks ANGEL BALLat Cipirani Wall St, in this stunning Michael Costello dress. She was belle of the ball, with even the performers of the evening, USHER and PHARRELL pulling her up on stage to dance whilst they performed. Tonight, October 31st, Jessica will be hosting her annual Halloween party at PHD, Dream Downtown. Costume is still in the making, but as always, it's set to be a show stopper. Elliphant wore a multi-layer ikat print shorts and jacket from Philosophy by Natalie Ratabesi Resort 2014 during the promo for her new single "Down on Life" . Maria Menounos hits the red carpet in State Room Jewelry at the Oceana Partners Award Gala on October 30th, 2013 in Beverly Hills, CA. 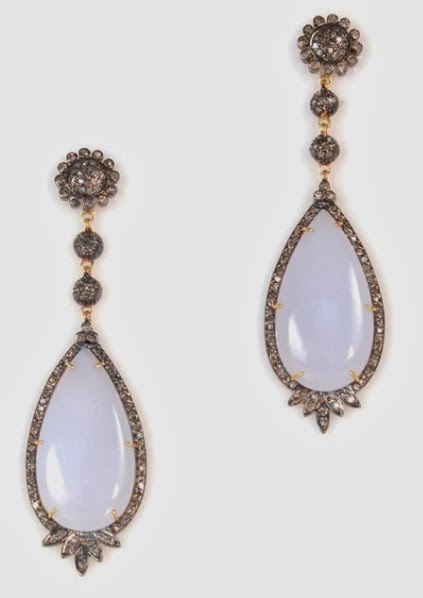 Maria wore the Light Purple Chalcedony Teardrop Earrings in 14K Gold, Chalcedony, and Diamonds by State Room Jewelry. 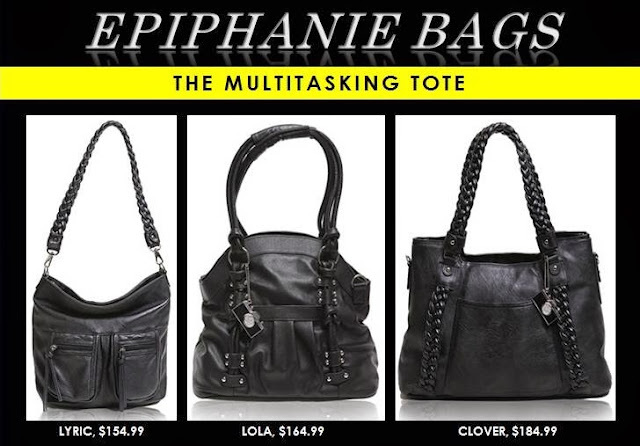 A new wave of carryalls begs the question: Shoulder, clutch or hand-held? How you’re carrying your bag is an important question and how much does is carry is an even bigger one. Expandable holdalls like Epiphanie’s LYRIC, LOLA and CLOVER, can be toted by their intricately braided, ladylike handles or worn cross-body. Deceptively roomy enough for all your city essentials, they are clever as well as covetable (www.epiphaniebags.com). Need some last-minute Halloween costume inspiration for your little one? Look no further than the queen of fashion herself, Anna Wintour! 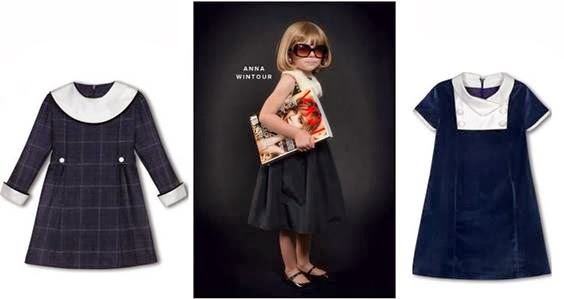 No need to place a call to Karl Lagerfeld though –Amberley London has your girl covered for a chic, fashionable dress. Whether it’s the Bloomsbury Wool Day Dress for a daytime look or the Bond Street Velvet Dress for a touch of elegance, she’ll look like she just stepped off a page of Vogue! Thank you for taking the time to read our children's fashion blog post. We hope that you have found this news to be informative. If you have comments or questions, please add your thoughts in the discussion area below. "During the next ten days Paula will climb Masada, float in the Dead Sea, tour the Galilee, shop in Tel Aviv and attend the city's 'Gindi Fashion Week,'" says Haim Gutin, Israel Tourism Commissioner, North and South America, who invited Abdul on the trip to Israel, "but the highlight of the trip will be later this week when she celebrates her Bat Mitzvah in Jerusalem." Commenting on the upcoming ceremony, President Peres told the 51-year-old star, "I have had a Bar Mitzvah, and you haven't, so you have something to look forward to!" The President of the State of Israel, Shimon Peres, met this morning with international singing and dancing star, Paula Abdul who is visiting Israel as a guest of the Ministry of Tourism. President Peres and Paula Abdul met at the beginning of her visit to Israel during which she will tour Israel's sites including Jerusalem, Tel Aviv and northern Israel and learn more about Israeli society, fashion, dance, theater and music. Paula Abdul thanked President Peres for his warm welcome and said, "I'm so overwhelmed with gratitude to be here, I've wanted to come for years. My career took me many places and this is my first vacation in almost eight years that I'm actually here to sight-see like a regular tourist. My family were here and they were crying, overwhelmed with joy that I'm here. It's such an honor, I know already when I have to leave I won't want to." During the meeting Abdul asked to see photos of the president's grandchildren and hear more about life in Israel. She said to President Peres, "Everyone told me you're so sababa and it's true"
High fashion meets high performance with pheel Fitness Apparel. 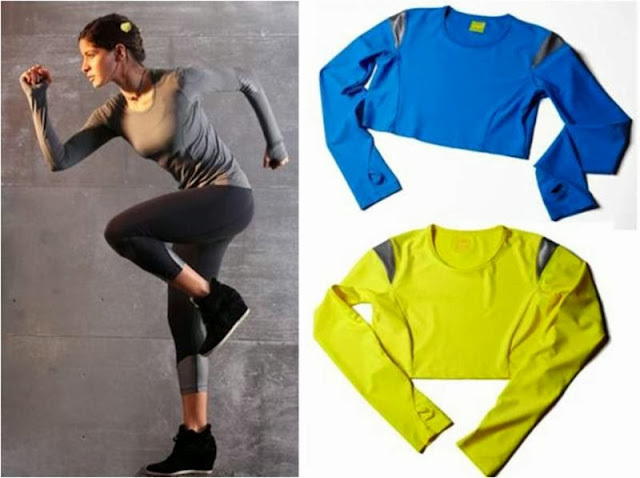 Offering body-slimming sculpting fitness apparel for women, pheel is fashionable, affordable, comfortable and created to move with you from the gym to brunch and beyond - regardless of where your day takes you. pheel offers a lightweight, moisture wicking fabric that is strong enough to hold your curves in all of the right places, but soft enough to feel like second skin during your daily workouts. Manufactured in the U.S.A, each breathable garment has been tested and fitted for maximum performance during yoga, spin, cross fit and more. Spin like an instructor in pheel's Go-2-Pant ($82), sweat it out in style with the leopard Chizel Pant ($72), or train for cross fit competitions in pheel's Nifty/Fifty Top ($66). Designed with fashionable patterns, bold colors, and modern flashes of metallic, each stylish piece works together as an outfit you can put on for a morning workout and spend the rest of the day wearing. Whether you're training for a triathlon or just trying to maintain good health on a daily basis, the pieces in the line will make you forget you're wearing active wear because each garment makes you look and pheel good about yourself, all day long. 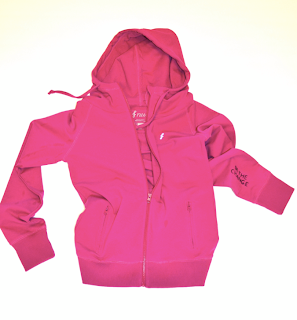 pheel Fitness Apparel was developed to meet the everyday demands of fashion-forward fitness women on the go. For pheel founders and fitness mavens, Lisa Lazarus and Lainie Goldstein, both have a love for running, hiking, tennis, yoga, and pilates, in addition to having a full social life outside of the gym. Lazarus and Goldstein wanted stylish fitness apparel that could keep up with their hectic schedules and make them look and pheel good before, during, and after a workout, whether they were going for a run after running a few errands, or meeting friends for dinner after a spin class. pheel is a premium fitness apparel line that offers shirts, shorts, bottoms and sweaters and is sold online (http://www.pheel.com/) in addition to Barry's Bootcamp and other retailers across the country. Today, a new brand launches with the goal of empowering women across the globe. High-quality fabrics, stylish designs, and transformational wages distinguish NEVA Activewear. NEVA partners with talented women artisans in South Asia to hand-stitch inspiring messages on every NEVA piece. Earning 10 times their typical wages, these women are able to transform their lives and the lives of their children. “We currently employ small groups of artisans in communities across South Asia,” says Sacha Nana, founder of NEVA. “The reality is that only one-third of the region’s working-age women have paying jobs, and of these women, many are underpaid. NEVA is more than a job for these artisans; it’s an opportunity for a better life and a brighter future.” These wages are transformational – providing them income for food, healthcare and education to support their families. 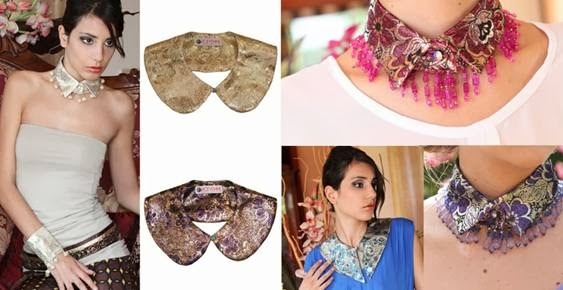 Customers will be proud to support NEVA, knowing their purchases create opportunities of empowerment for women in South Asia while still looking stylish themselves – something very unique to the apparel industry. Look good, feel good, do good. These core values define the NEVA way. The first NEVA collection, BE THE CHANGE, is intentionally limited, offering just two on-trend styles at $89 each: 1) a relaxed fit, all-purpose hoodie made from soft, French terry cotton; 2) an athletic, slim fit jacket made from high-performance nylon and LYCRA®. Every NEVA item displays an inspiring, hand-stitched message. As customers are transforming their minds and bodies, these inspirational messages will remind them of the lasting impact they’re making on women’s lives around the world. To assist with production costs and expand the collection, NEVA will launch a crowdfunding campaign in early November. 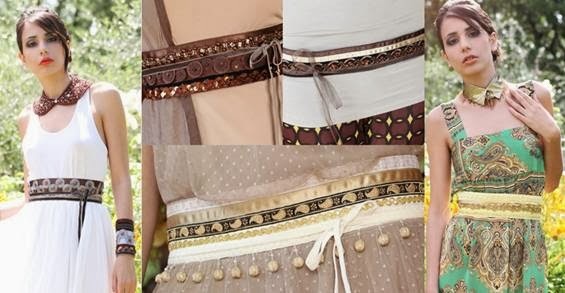 For more information on NEVA, visit www.nevawear.com. NEVA is a higher standard of activewear that empowers women across the globe. When you buy NEVA, you’re helping build a better life for an artisan in South Asia. These women make transformational wages to support her family by hand embroidering inspiring messages on every NEVA piece. These messages of hope will move you closer to your life’s passions and remind you of the lasting impact you’re making on another woman’s life. For more information, visit www.nevawear.com. Thank you for taking the time to read our fitness fashion blog post. If you enjoy learning about ladies activewear, you may want to check our new activewear blog page. Shapeez is launching their newest product in their amazing shapewear line, the Sportee Sports Bra! Leading intimates industry company Shapeez, renowned for their patented Unbelievabra, the all-in-one bra, body-shaper, and camisole that smooths back bulges and provides superior breast shaping performance, has introduced its first sports bra, the Sportee. The Sportee was designed with the same ingenious design of all other Shapeez products and features their patented smooth back design. The Sportee is a bounce-free sports bra that creates a bulge free look underneath workout tops while keeping breasts firmly supported during any athletic sport or activity. Additionally, it is made of a moisture wicking Nylon Lycra mesh fabric that doesn’t bind, moves with you, and keeps you feeling cool and comfortable while you work out and throughout the rest of the day. Compared with shaping sport bras produced by other companies that don’t have the built-in construction of a real bra at the core, the Sportee is a real sports bra because it can actually function in the gym or on the jogging path. Plus, with their patented smooth back design, the Sportee erases all visible bra lines and bulges that can make women look heavier than they really are. 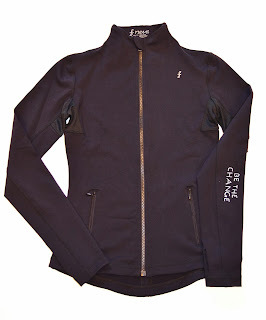 “We wanted a garment that had full support without bands or closures making it nearly invisible under clothing. The Sportee lives up to these goals, and now allows our customers to stay with Shapeez, even when she is in the gym,” emphasized David Berner, vice president and CFO of Shapeez. The Sportee comes in white with black piping or black with white piping and in sizes ranging from Small-A to Large-DD. The new bra retails for $79 and is available at Shapeez.com and select retailers nationwide. When you are done jumping from joy after learning about these sports bras, you may want to read a few other bra blog posts on our website. If you have comments or questions about the clothing on this page, please add your thoughts in the discussion area below. 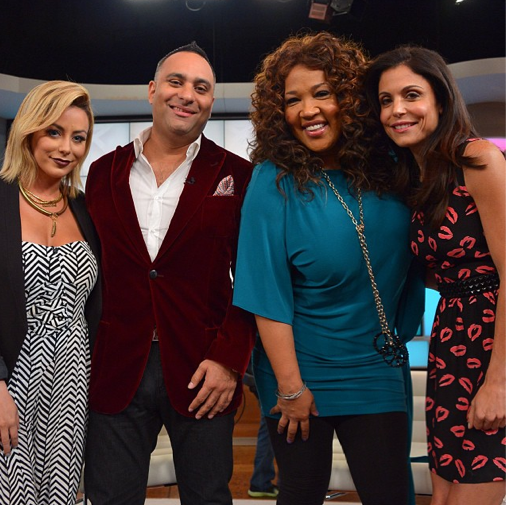 This month, both Aubrey O'Day and Karina Smirnoff hit the talk show circuit promoting their respective projects. The common denominator? A trendy black and white jumpsuit by clothing line Mister Zimi! While both entertainers looked sleek and polished, each accessorized their Mister Zimi Paso Blanco jumpsuit in different ways. Karina Smirnoff accessorized her Mister Zimi jumpsuit with a simple belt and jewelry (rings) from ELLE Time & Jewelry and Aubrey O'Day accessorized with a necklace and bangle from Charles Albert and an additional necklace from Haati Chai. They both pulled off the look! In 1925, C.L. Best Tractor Company joined forces with the Holt Manufacturing Company, creating a revolutionary new brand – Caterpillar. Upon its emergence, Caterpillar quickly gained a name as one of the leading manufacturers of machinery and engines in the world, a reputation that it still maintains today. Not content with simply designing and manufacturing over 300 types of machine, Caterpillar decided to branch out into footwear. Just like their machinery, Caterpillar boots are incredibly durable, well-made and long lasting. They rapidly became the boot of choice for construction workers, with an estimated 57 million pairs sold between 1994 and 2005. Recent times, however, have seen a move that not even Caterpillar could have predicted. The fashion world has claimed the boot, transforming the shoe from a safety essential to a stylish must-have. Many A-list celebrities have been seen sporting the look, with Rita Ora and Kanye West all big fans of the iconic brand. But it is not difficult to see why so many fashionistas have adopted the Caterpillar boot. Normally, fashion involves teetering around on skyscraper heels. 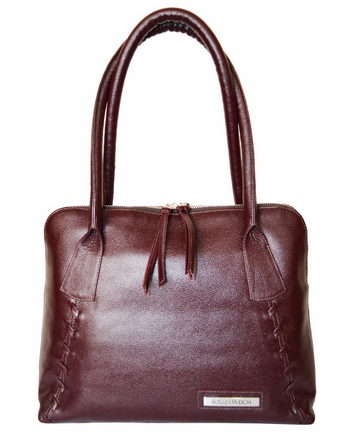 The boot, on the other hand, offers practicality and comfort alongside style. The urban military trend has been popular for a while now, and shows no signs of letting up any time soon. The classic Caterpillar boot fits right in with this trend and is a popular choice for many looking to nail this look. Caterpillar are not limited to just producing one style of boot though. There are a range of fashionable boots, shoes and even sandals which encompass the quality and durability of the original. Caterpillar is a brand that is sure to continue to grow in the coming years, emphasizing its presence as a high quality fashion brand. View more boot blog posts here on Apparel Search. Hayden Panettiere is classic in Reframed while attending the 2013 Environmental Media Awards on October 21st, 2013 in Burbank, CA. Hayden wore the Reframed Diamond Earrings in 14KT White Gold and 2.36 CT Diamonds to the awards. Reframed is the line Kinda Mouawad. The elements of her pieces share a part of their characteristics to the productive meeting of simultaneous attractions between the concern of modernity and primitive implication. What is the difference between woven fabric and knit fabric? Knitting is the art and science of constructing fabric by inter-looping yarn loops by the use of needles, a “loop within a loop.” A vertical row of stitches is called a “wale” and the horizontal row of stitches is known as a “course”. There are two basic types of knitted fabrics that are of interest to the fashion industry. Circular knits which are made on circular needle-bed knitting machines which produce fabric in a tubular form. Warp knits which are made on flat open width knitting machines. Main classes of warp knit fabrics are tricots and Raschel. Another type of warp knit is called Simplex which is in reality nothing more than a double knit tricot. Main types of circular knits are single jerseys, and double knits. Double knits can further be subdivided into five basic types: interlock, narrow and broad rib, double jerseys, intermediate jacquard double jersey, and rib-jacquard double jersey. Weaving is the process of forming a fabric on a loom by interlacing the warp (lengthwise yarns) and the filling (crosswise yarns) with each other. Filling is fed into the goods from cones, filling bobbins or quills which carry the filling picks through the shed of the loom. Filling may also be inserted in the the material with the use of a shuttle, as in the case of a shuttleless loom. The three basic weaves for woven fabric are Plain, Twill, and Satin. All other weaves, no matter how intricate, employ one or more of these basic weaves in their composition. There are many variations on the basic principles which make different types of fabric surfaces and fabric strengths. Possibly, we will write an Apparel Search blog post about the variations in the future. Learn more about fabric and fabric mills on the Apparel Search clothing and textile industry directory. When you purchase clothing how important to you is the fabric construction. Are you more likely to buy a shirt that is made from a woven fabric or a knit fabric? My personal preference is typically knit because it has more stretch. However, it really depends on the garment that I plan to purchase. If I am buying a dress shirt, it would be woven. When buying a t-shirt, I am going with a knit for sure. If you have questions or additional knowledge about woven fabric or knit fabrics, please share your thoughts in the discussion area below. 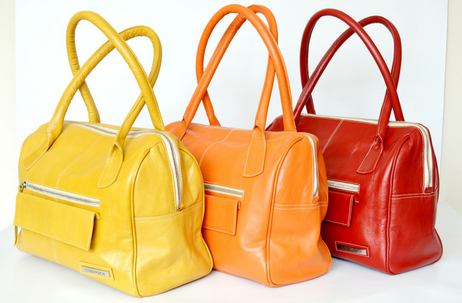 Columbian handbag line, Souza Weich, defines luxury with state of the art design aesthetics and modern silhouettes. With styles ranging from contemporary cross body bags to oversized totes, Souza Weich epitomizes the effortless chic look that every woman craves. Leathers and exotic skins combined with metal hardware provide an ultra luxurious collection of fashion-forward handbags that will remain in style for years to come. 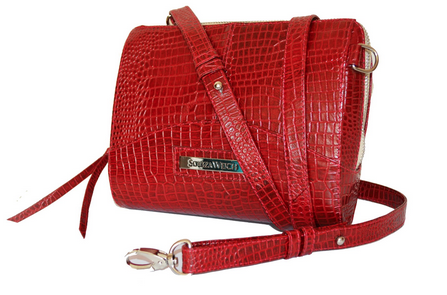 Learn more about the Souza Weich handbag collection at their website. Lively hand-crafted accessories with a taste of sophistication and Tuscan design are just some of the many characteristics that make up Rosyemme. Rosyemme is the product of designer Rosanna Mereu’s creative desire; a reflection of her travels throughout the years. 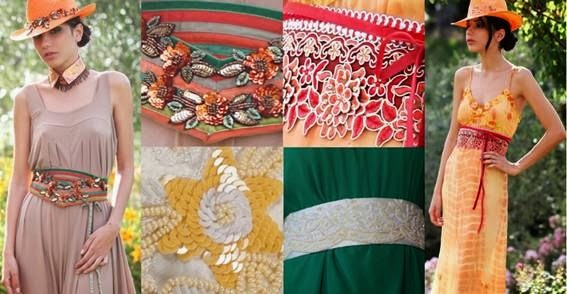 Inspired by colors and textiles of various cultures, Rosanna has managed to create a line of purposeful and precious sash belts, hats, collars, cuffs, bustiers, and caftans designed for cultured and elegant women. Thank you for taking the time to read our fashion accessory blog post. We hope that you have found this news to be informative. 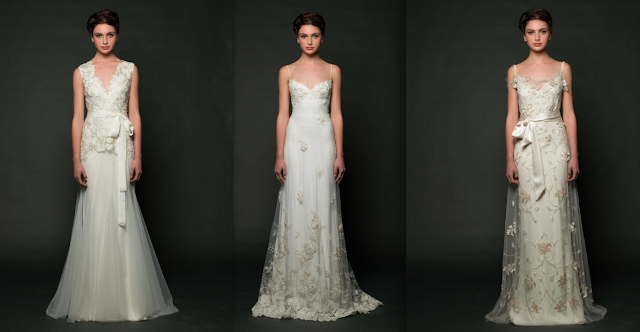 South African designer Sarah Janks recently launched her Fall 2014 collection at New York International Bridal Market. The Forget Me Not collection, inspired by the flower for which it is named, utilizes delicate laces, beading, and floral appliqués to effortlessly portray femininity and poise. The delicate juxtaposition of materials creates a collection with a sophisticated yet whimsical aesthetic. Sarah Janks, known for her beautiful body-hugging silhouettes, continues to impress this season with the romantic Forget Me Not collection. Motivated by a passion for couture, Sarah immersed herself in the technical aspects of construction, draping and patternmaking at the London International School of Fashion (South Africa). Following graduation, Sarah left home for London and a tailoring apprenticeship at Kashkets. Steeped in the city’s culture, Sarah thrived, honing her aesthetic with fashion luminaries including Jenny Packham, Jonathan Saunders and Hamish Morrow. However, it was while working with Roland Mouret as a creative design assistant and pattern cutter that Sarah’s meticulous approach found its muse. Recalling Marlene Dietrich’s glamour gowns, Sarah devised a design marrying fit, cut, imagination and Roland’s draping genius. The collaboration produced one of the decade’s most iconic shapes – the Galaxy dress. In 2006, Sarah moved to Sydney, Australia to raise her family. Seeking to produce a collection of effortle ss, fashion-influenced bridal gowns, Sarah launched Tempus, her first collection, in 2011 to critical acclaim. If you have enjoyed this article, you may want to read additional blog posts about bridal fashions here on Apparel Search. 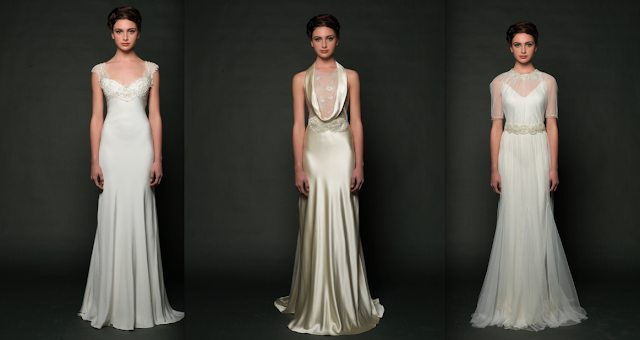 You can also try the bridal gown posts if you are specifically looking to read about dresses. Jessica Alba was spotted wearing Level 99 last night in Los Angeles. The Machete Kills star wore her Lily Skinny Straights in Crawford for the second time on her way to dinner with her husband, Cash Warren($125, www.level99jeans.com). Here is a previous spotting of Jessica Alba. Lune was launched in 2013 and was first seen in a collaboration project with Jen’s Pirate Booty, and now launching its first full line of clothing, under the brand Hye Park and Lune, which will be available in January 2014. You may recognize Hye (pronouced HAY) Park's name, as she is a celebrated runway model who has also graced the pages of several fashion editorials and designer ad campaigns. Hye and the design team are on a mission to create a luxury essentials collection inspired by Park’s life off the runway and for the girl-on-the go in mind. Celeb-mama's like Alessandra Ambrosio, Selma Blair and Rebecca Gayheart are loving their stripes collection. Jennifer Garner has also been known to wear this top. View more of the Hye Park and Lune 2014 Lookbook at the Fashion Blogger blog. Pop icon, Britney Spears was recently spotted wearing a necklace by MAKKO while in London promoting her new music and recently announced residency at Planet Hollywood in Las Vegas. The "Work B**ch" singer stunned on-lookers in an all black ensemble paired with a gold spike necklace from the famed jewelry designer. MAKKO believes that jewelry wasn't just meant for show, but something that could empower and protect the wearer. MAKKO accomplishes this in a very unique and artistic way using Japanese kanji characters, gemstones, and distinctive shapes, to match each individual's spirit in the form of jewelry. Every piece of jewelry created by company founder, Makiko Tokuyama, has a special meaning or message; some convey fortune and well-being while others may refer to peace and tranquility. Can you believe that Macy's is already announcing Black Friday Deals? It is true. They are already starting to mention black Friday sales. Shoppers looking for great holiday specials will find incredible offers and unbeatable doorbusters when most Macy's stores open nationwide at 8 p.m. on Thanksgiving evening, after families across the country have finished their holiday meals and celebrations. Limited-time specials in every department for hundreds of items include exclusive fragrances, stylish clothing from the best brands, handy kitchen gadgets and much more. 30 percent off Impulse Contemporary Apparel from Kensie, Lucky Brand, Miss Me, RACHEL Rachel Roy, Bar III and more. Black Friday shoppers can also get a first look at select specials by checking Macy's Pinterest page at pinterest.com/macysofficial or macys.com/blackfriday. View additional fashion blog posts about Black Friday here on Apparel Search. 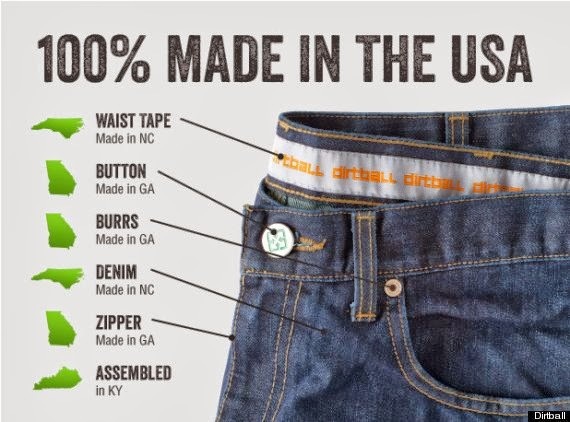 Eco-friendly fashion company Dirtball is doing with its new line of denim, which will be made entirely in the USA. Dirtball's selection of recycled content clothing is sustainable. Each of their American-made apparel products are created utilizing only recycled materials and by producing their products in the United States they employ American workers while reducing carbon emissions by lowering their shipping distances. View their entire selection of recycled cotton / polyester U.S. made gear, including T-shirts, polos, shorts, hats, hooded sweatshirts and socks at their website. Apparel Search takes great pleasure in introducing to you the seminal business guide for professionals in the fabric products industry. 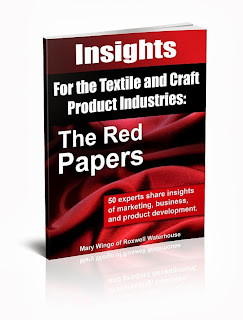 The Red Papers is an incredible 130 page resource for anyone in the creative arts and fabric products business. The book was written by Mary Wingo of Roxwell Waterhouse. She has interviewed 50 professionals in the fashion, arts, and industrial sectors and have received valuable insights into business development, marketing, and operations. 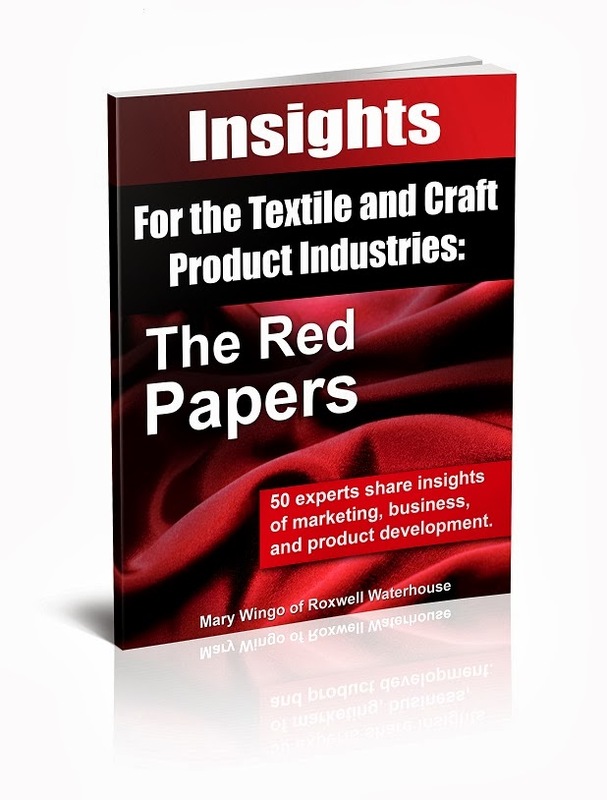 Mary provides this 130 page business guide for fabric product professionals, at no cost. Learn more about the Red Papers at the Roxwell Waterhouse website. View more fashion and textile book blog posts. We just wanted to make sure you spotted fashionista and model TERESA MOORE rocking Charlotte Ronson, Jimmy Choo and a Goorin Bros hat last night at the premiere of The Counselor at The Crosby Hotel. Here is a photo in case you missed it. Teresa is an international fashion model from New Zealand who now is based between New York and London. Teresa is best known for her work with clients such as H&M and Diesel, magazines such as W, Vogue and Elle, and countless beauty and body clients around the globe. Teresa Moore's chart is managed by the powerhouse agency; Elite New York and has modeled for brands such as Rolex, Ralph Lauren, L'Oreal, Clairol, Neutrogena and Ferrari. Learn more about Teresa Moore at her website. With a distinct and original emphasis on fit, ground-breaking denim line Poetic Justice launched this month. Apparel Search is happy to introduce you to this new and innovative fashion venture. Poetic Justice Jeans are a collection of the hippest new styles as well as classic styles and come in skinny, cropped, boyfriend and boot cut jeans which allows women to confidently choose the perfect jean that flatters and accentuates their curves. Designed and tailor made in Los Angeles, each style from the Poetic Justice goes through countless hours of fitting to ensure that they fit like a glove, while retaining their shape (and accentuating yours). There are no other jeans on the market that fit women quite like Poetic Justice and you are welcome to purchase a pair and put them to the test!